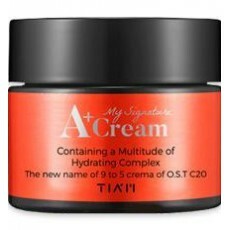 Tia'm My Signature A+ Cream is your choice of cream if your skin is specially dry, dull and uneven! It contains a Multitude of Hydrating Complex that delivers intensive hydration and improves the elasticity of your skin. Consistent use of this cream in the morning and or in the evening would turn your skin visibly smooth, beautifully bright and even toned! Apply adequate amount of this cream at the last step of your skin care routine. Can be used day and night.